A fresh look at the next installment of Derrick Rose's adidas signature line - the adiZero Rose 2.0. All flights are canceled with the next Derrick Rose signature shoe - the adiZero Rose 2.0. Rose's new sneaker features the same SPRINTWEB and SPRINTFRAME technology tandem that makes up the recently released adiZero Crazy Light. 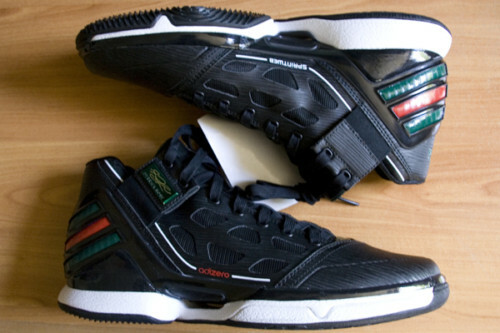 The shoe also employs support straps and open-mesh side panels. Weighing in at just 12.4 ounces, the adiZero Rose will be Derrick's lightest signature to date. 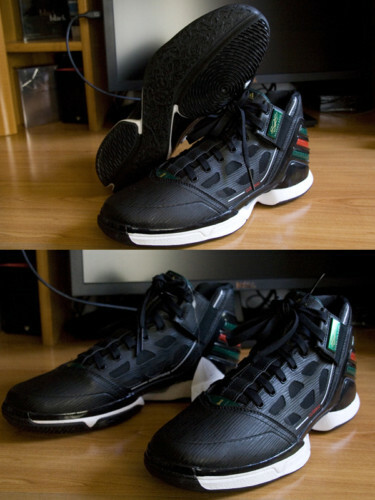 Here's a closer look at a Rose 2.0 that won't be able to avoid a "Gucci" nickname. 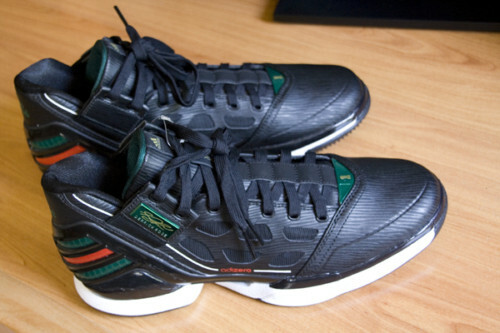 It sports a black textured upper with tonal SPRINTWEB and mesh paneling. 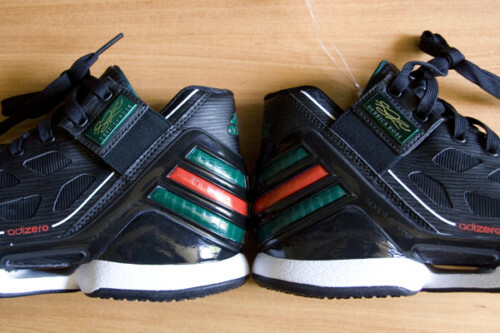 Hits of forest green and red accent the look throughout, while white works stripes on the side panels and the midsole. 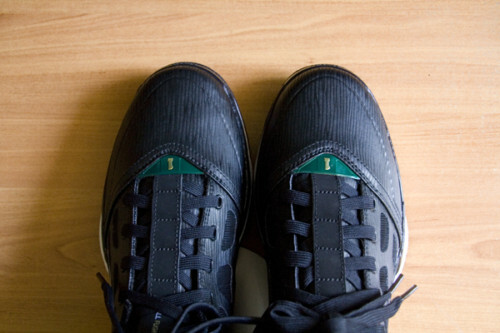 Black rubber outsoles finish off the look below. Check out new photos of the Rose 2.0 below and stick with Sole Collector and the Eastbay Blog for detailed information coming soon.